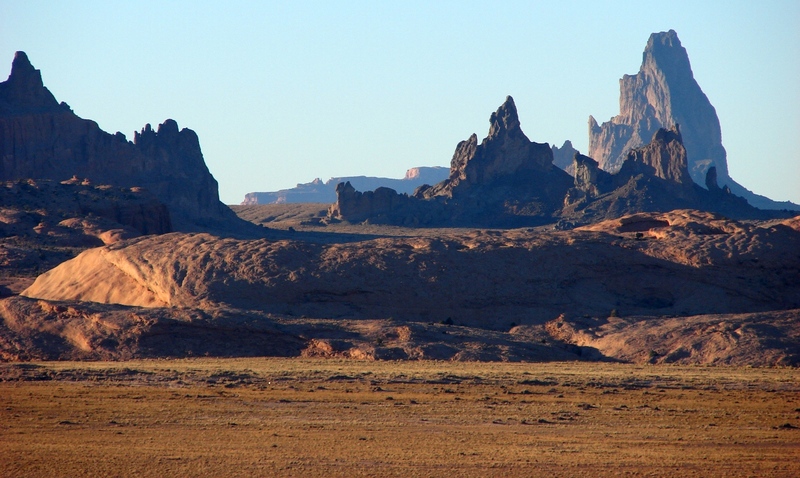 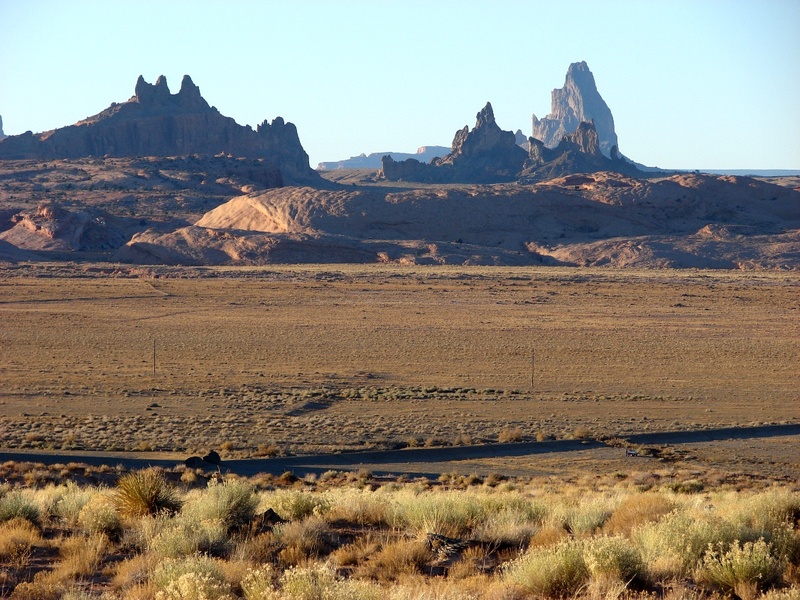 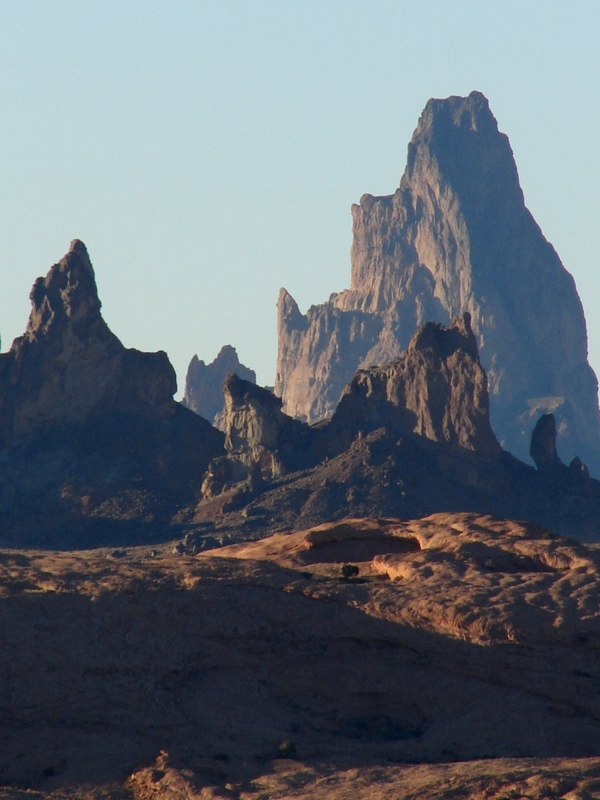 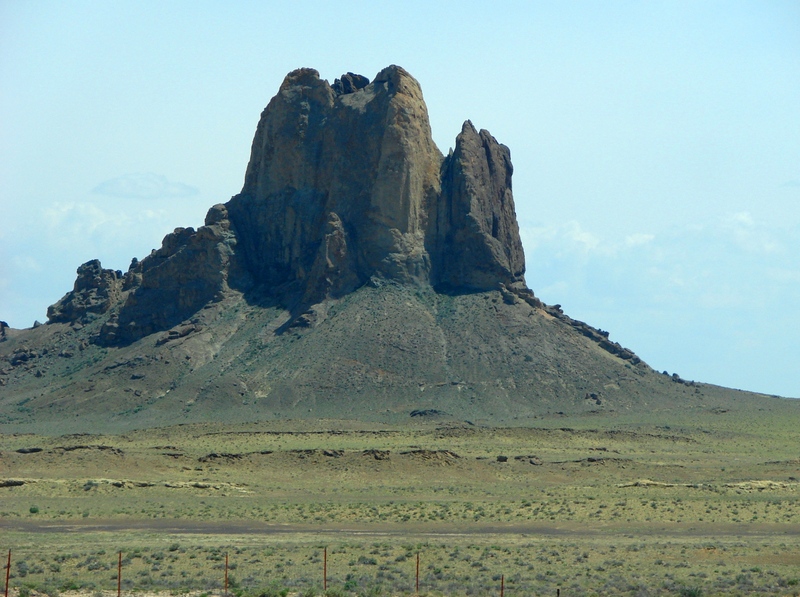 Shiprock, New Mexico is one of the most familiar examples of a volcanic neck in the world. 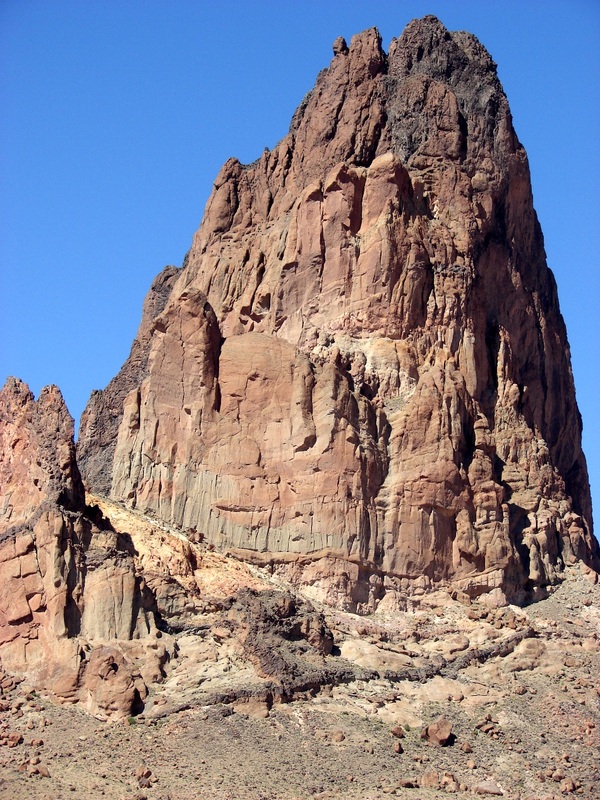 It is the core, or throat, of an extinct deeply eroded volcano. 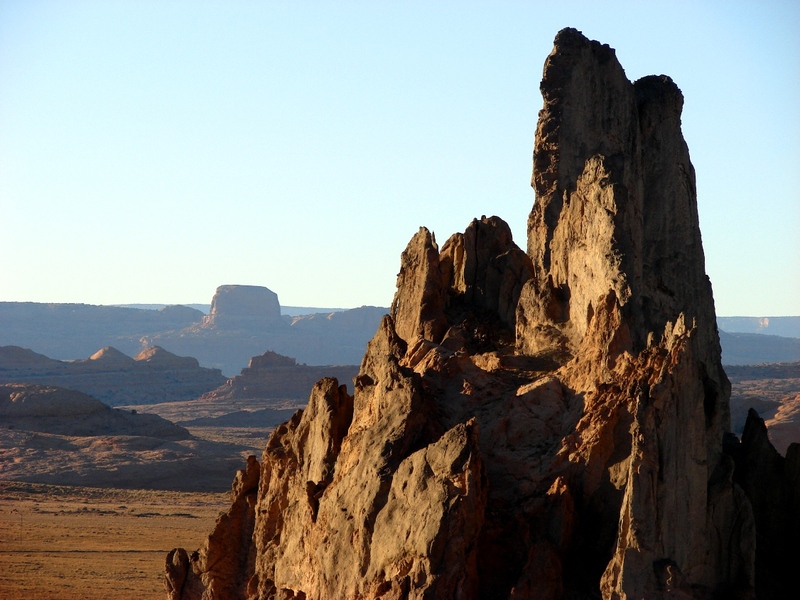 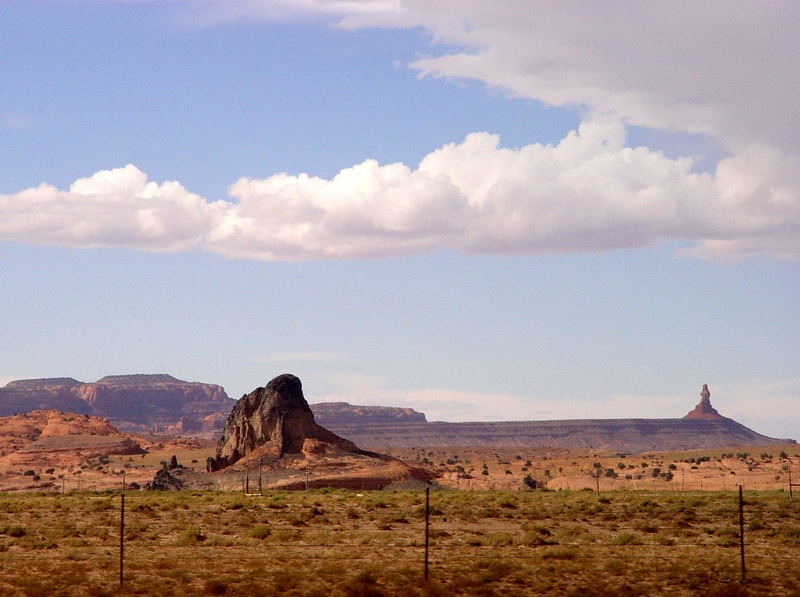 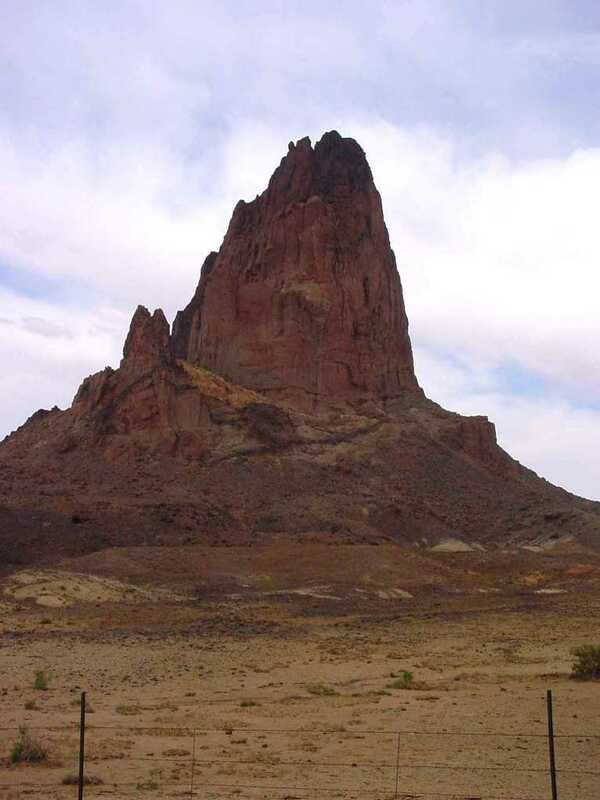 The Navajo name is Tsé Bitʼaʼí, "rock with wings" or "winged rock. 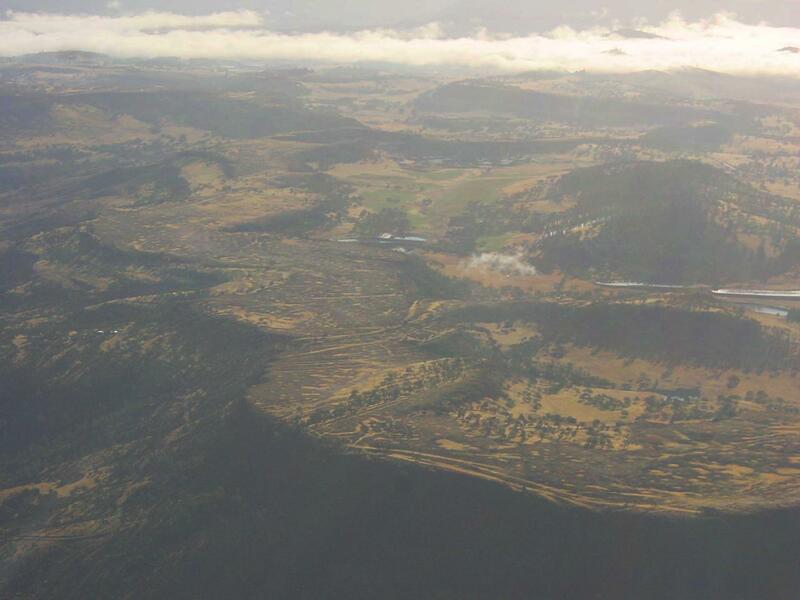 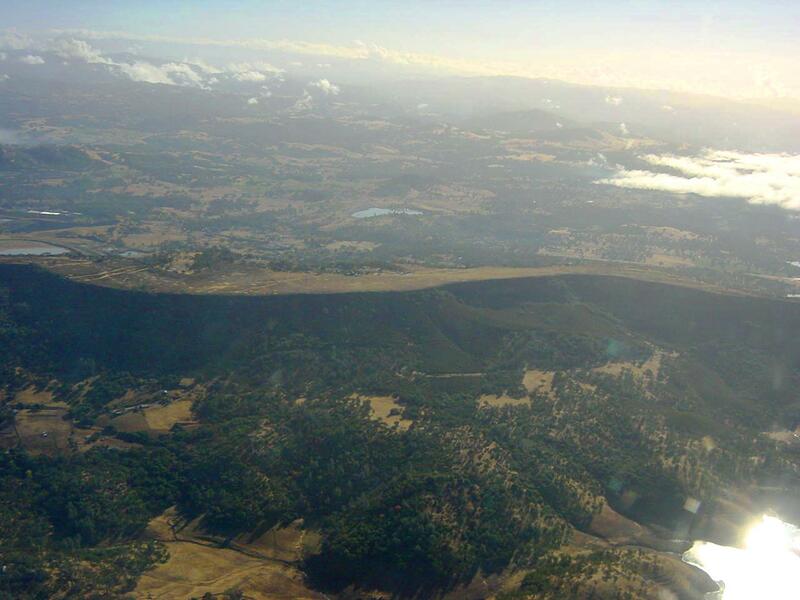 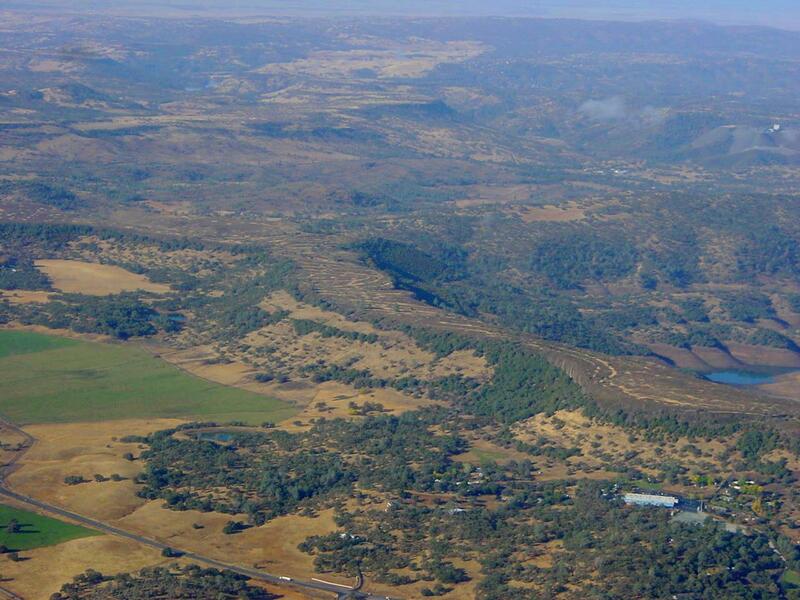 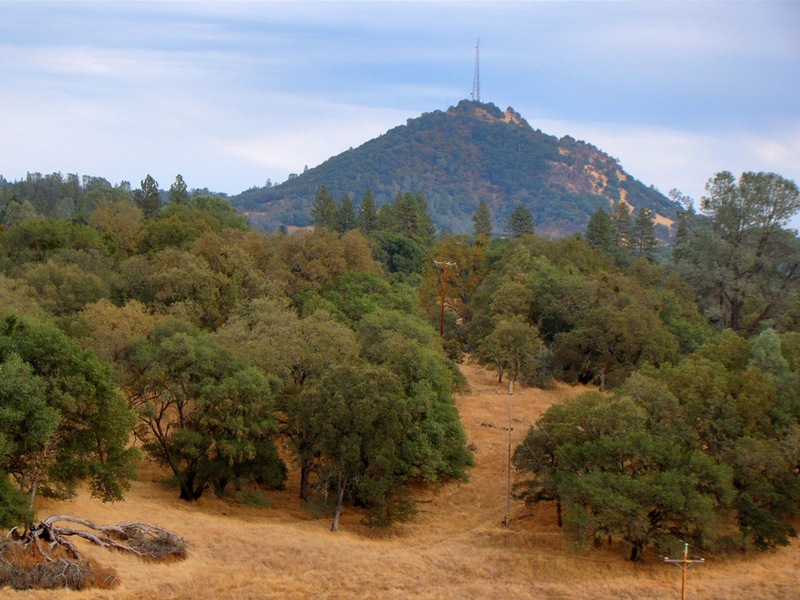 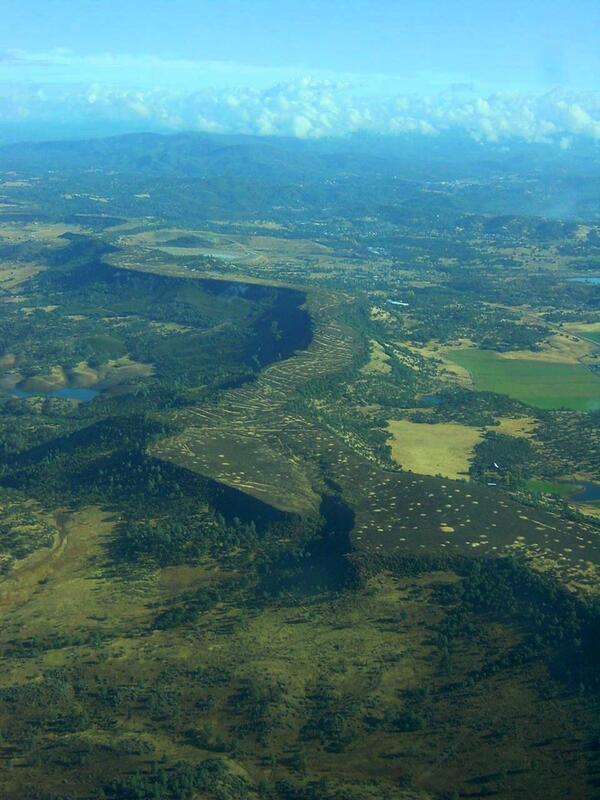 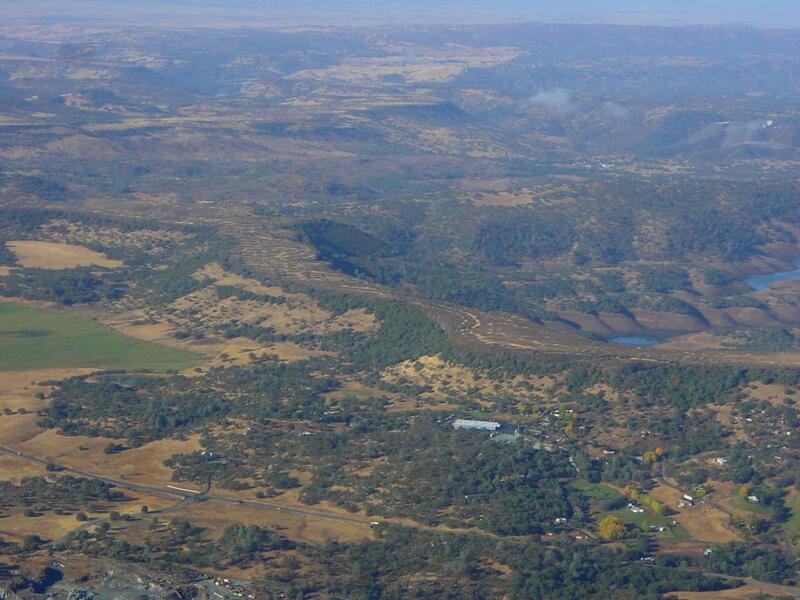 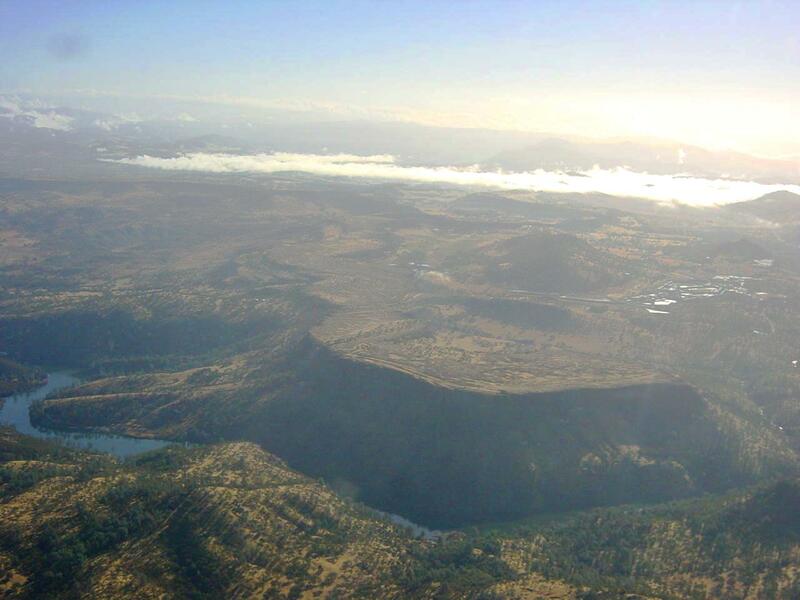 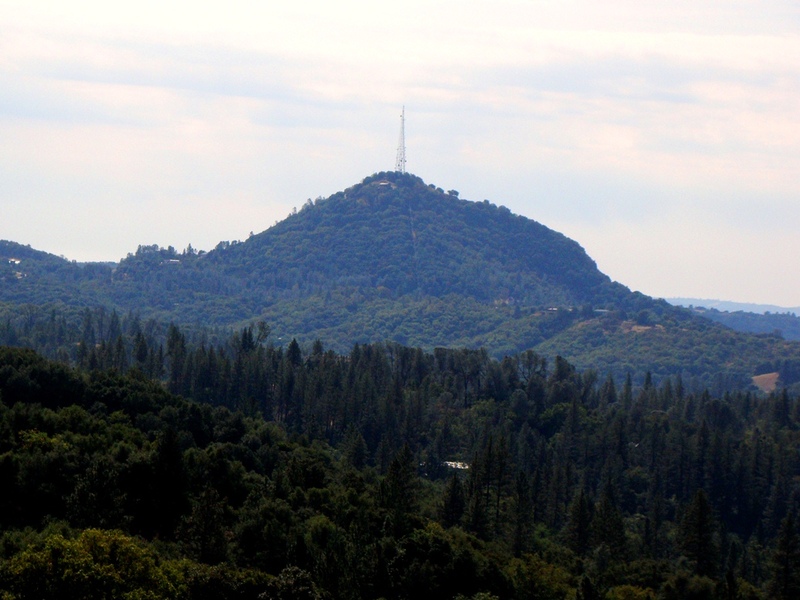 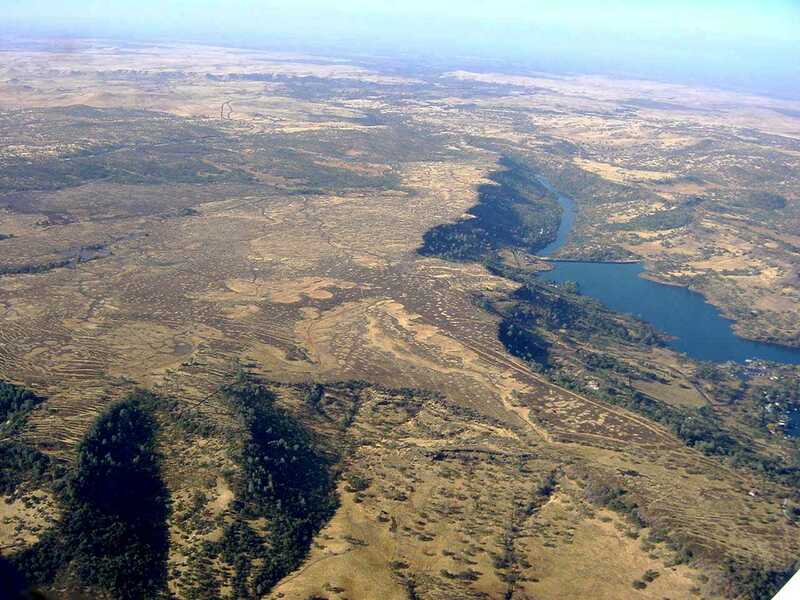 The volcano erupted about 27 million years ago, and stands some 1,500 feet above the adjacent plains. 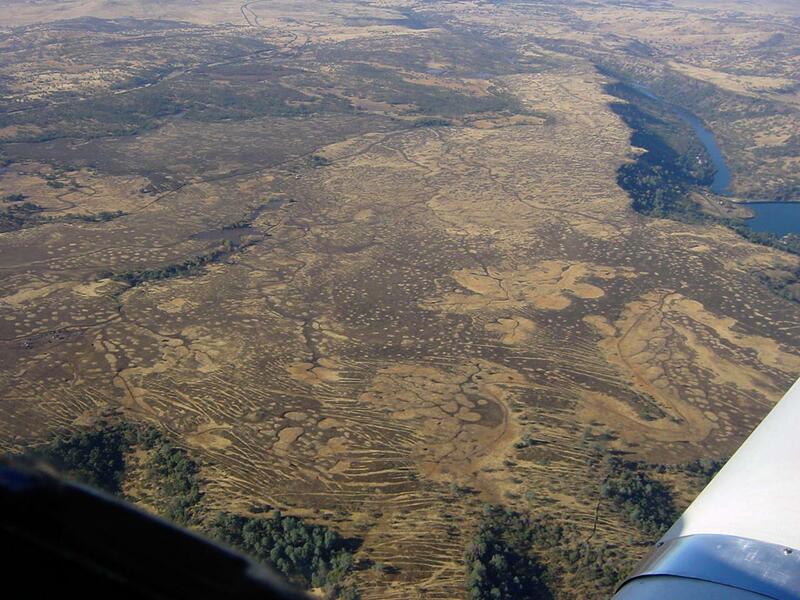 A series of exposed dikes extend outwards from the edifice. 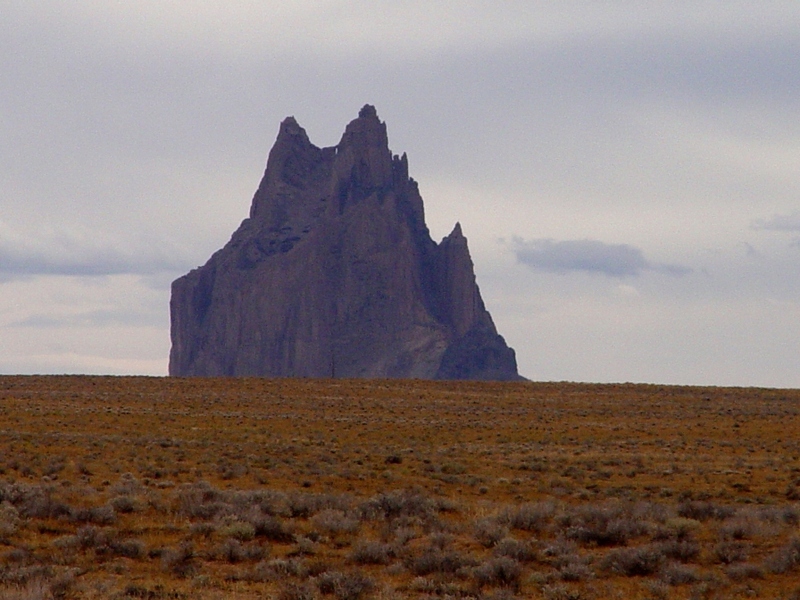 Shiprock, a volcanic neck in NW New Mexico. 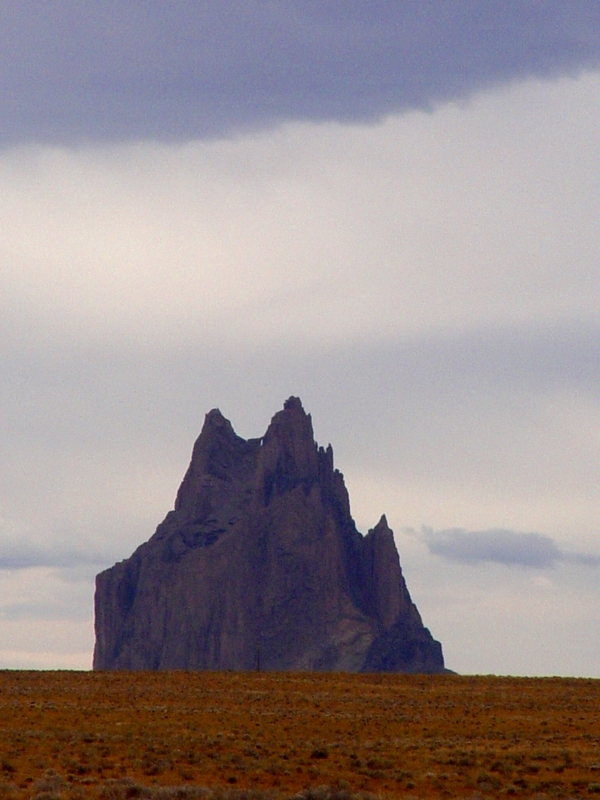 Shiprock in New Mexico, a volcanic neck. 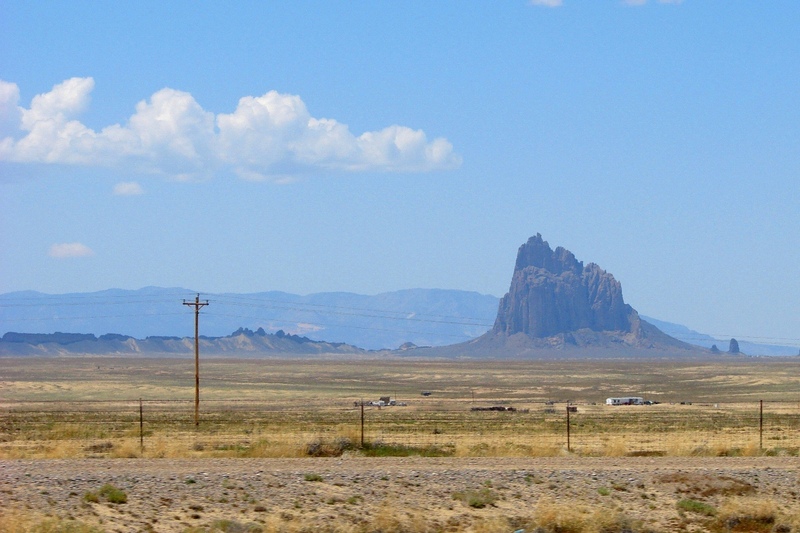 Shiprock, in New Mexico, with the dike on the left side Shiprock in New Mexico, with dike system to the left. 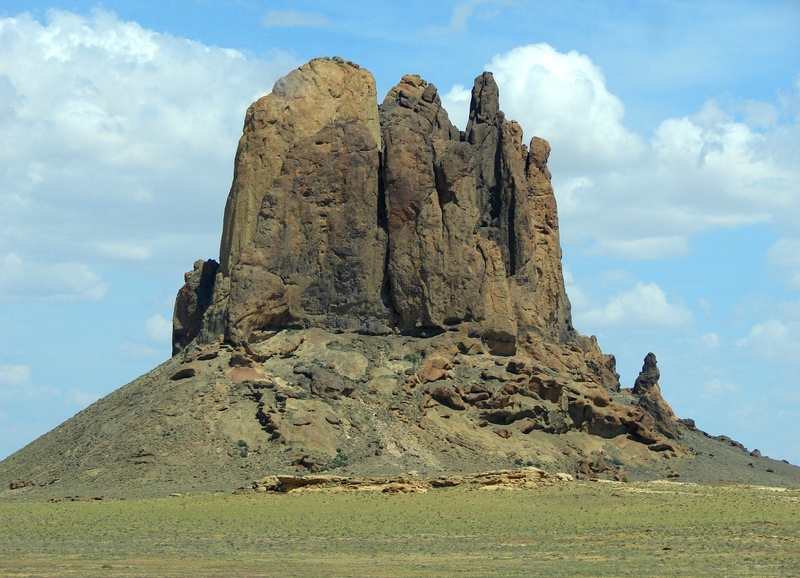 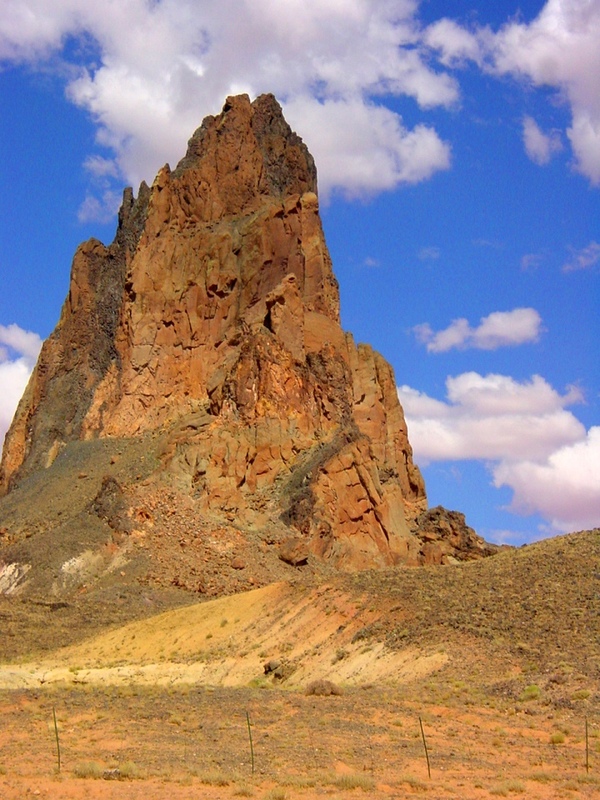 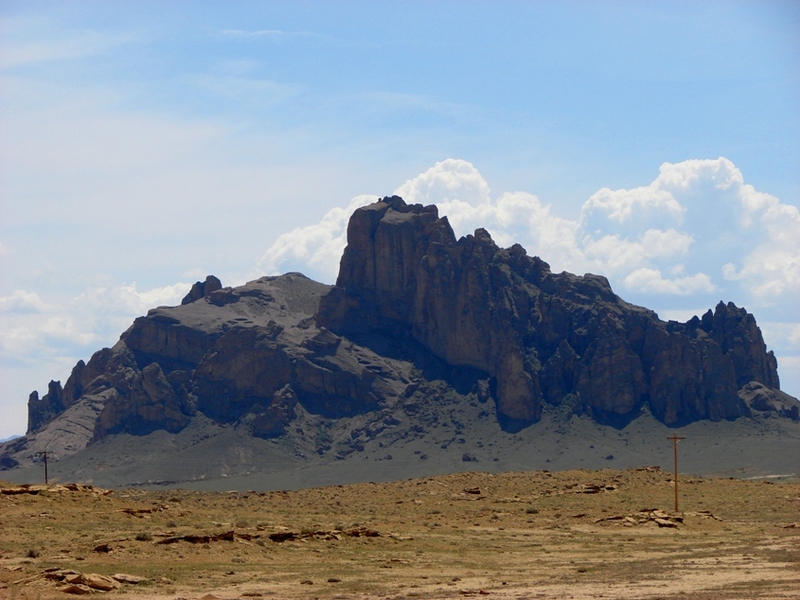 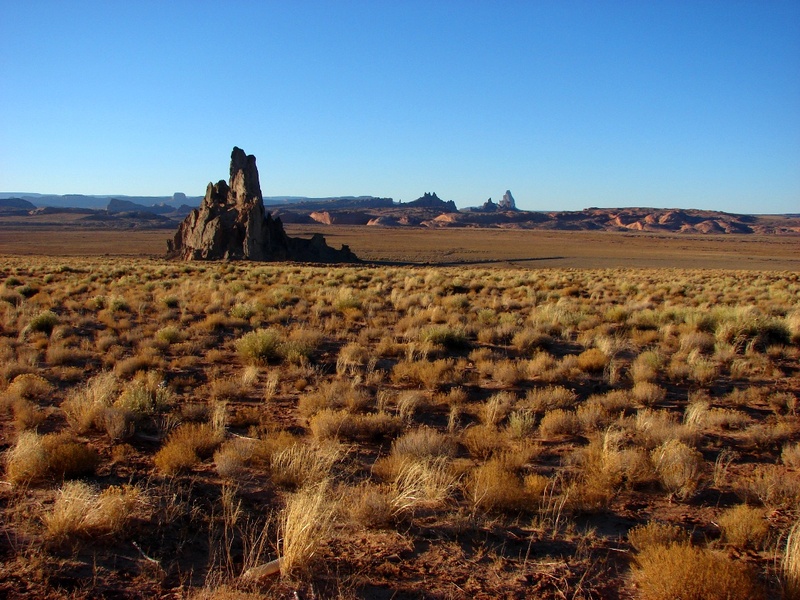 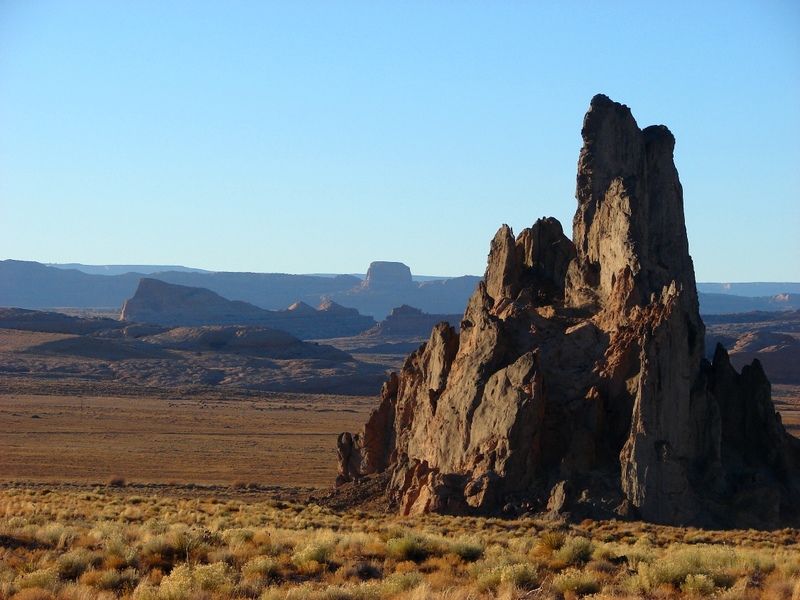 A volcanic neck in the Shiprock Volcanic Field, New Mexico. 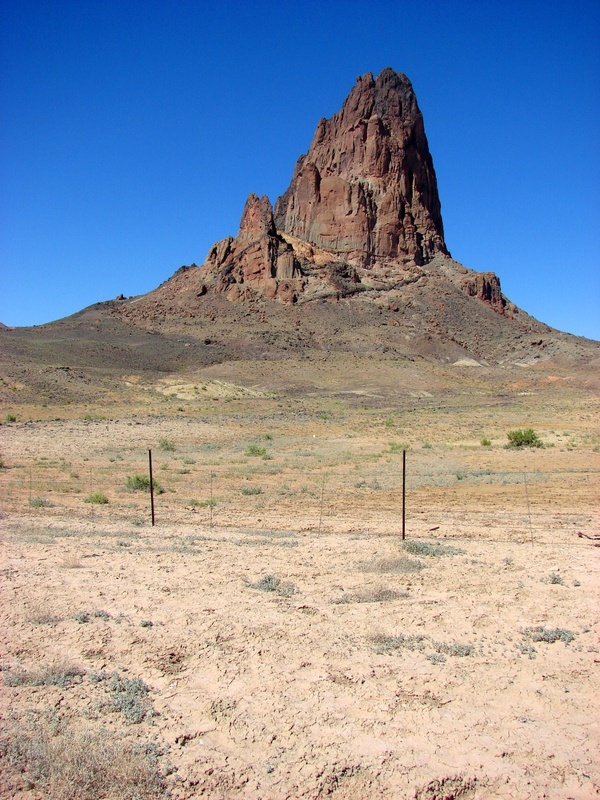 Church Rock in eastern Arizona near Shiprock. 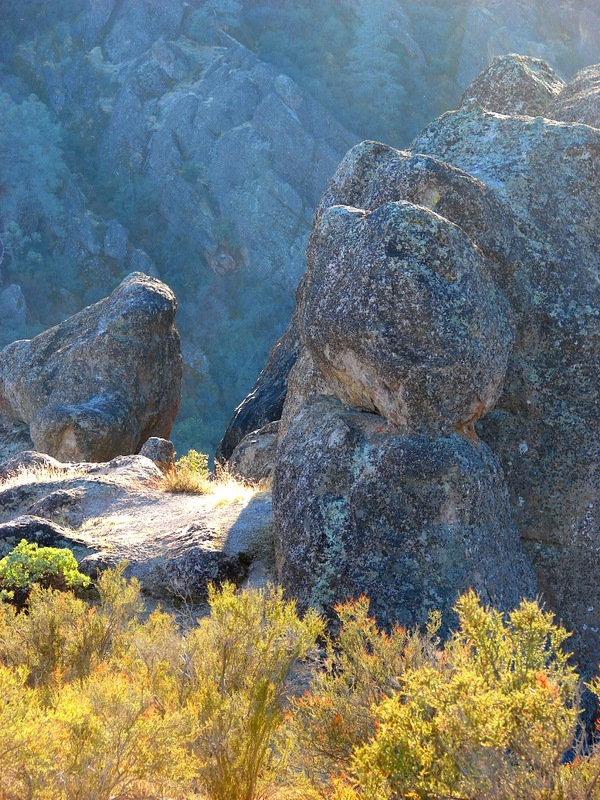 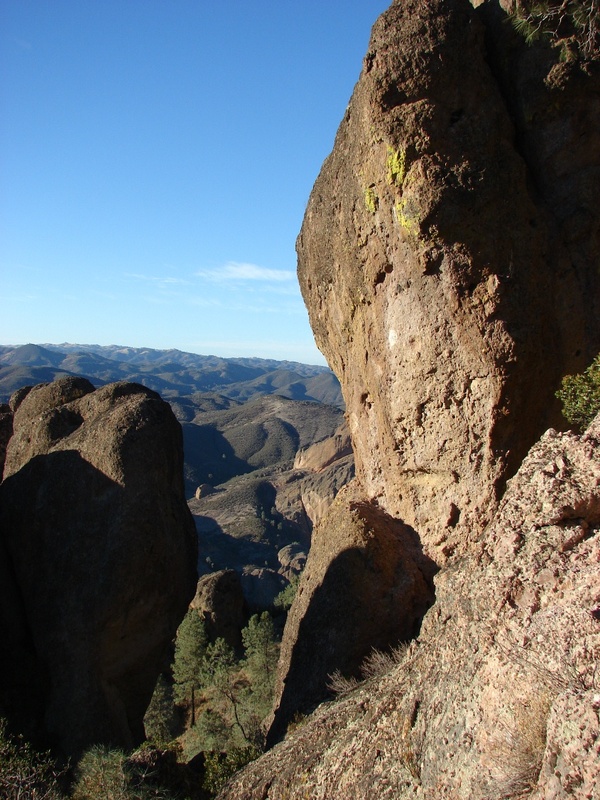 Eroded rhyolite breccia at Pinnacles National Monument. 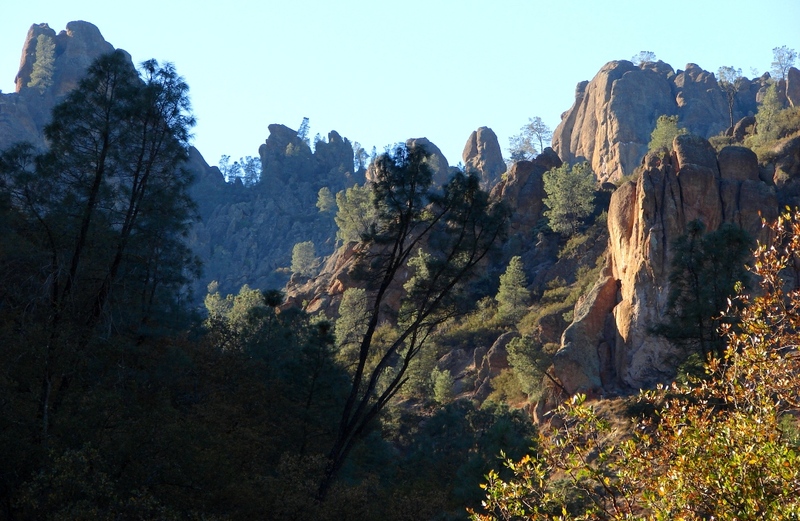 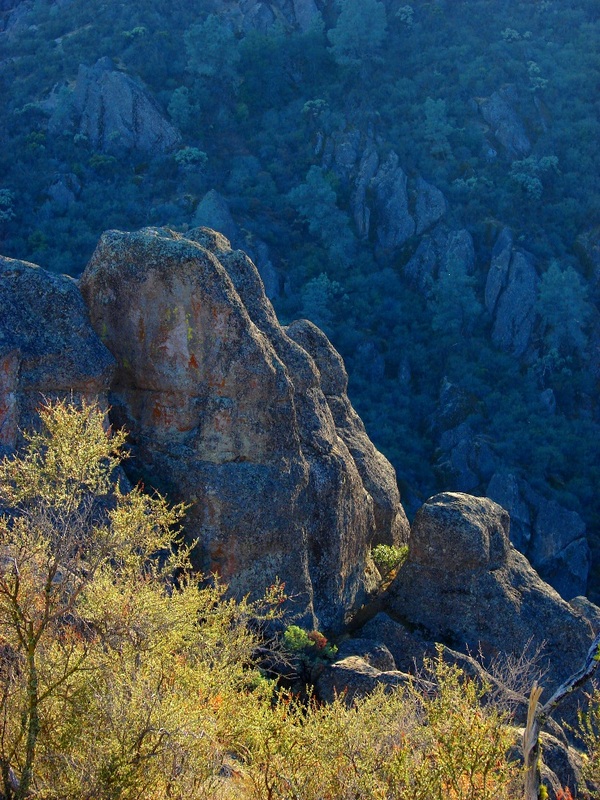 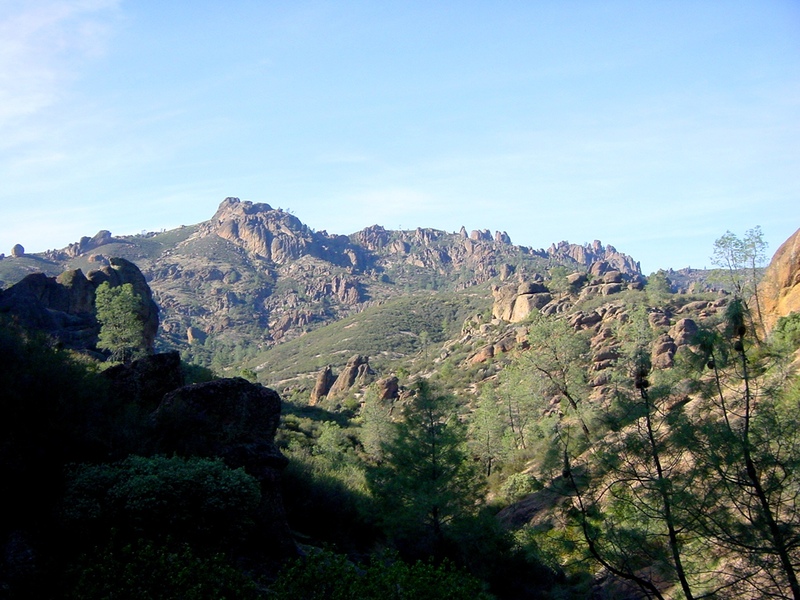 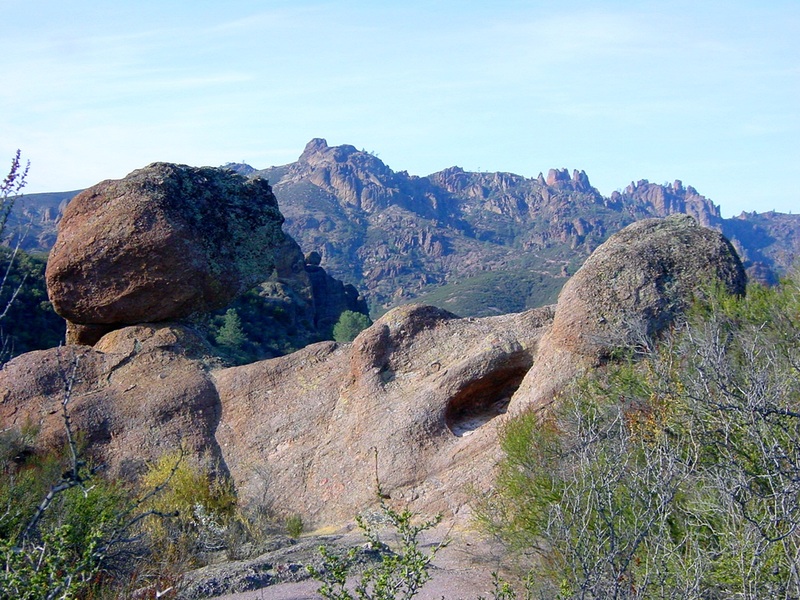 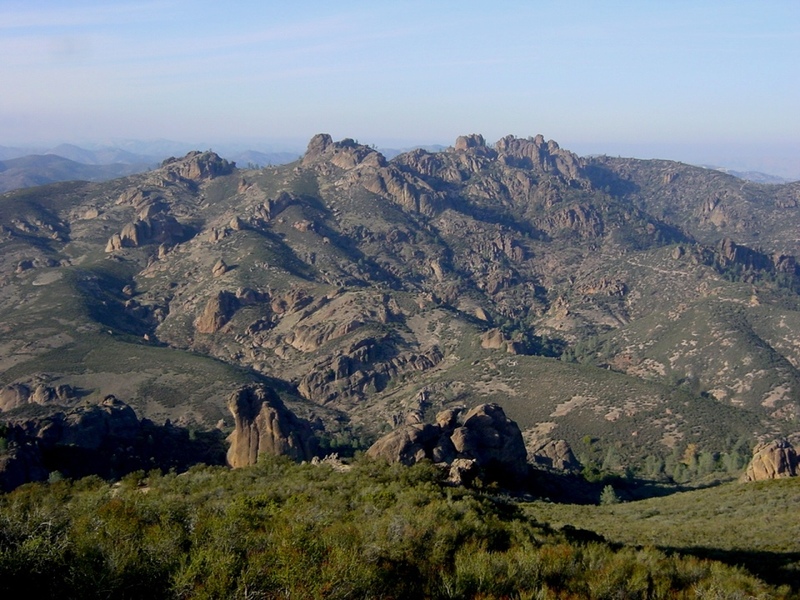 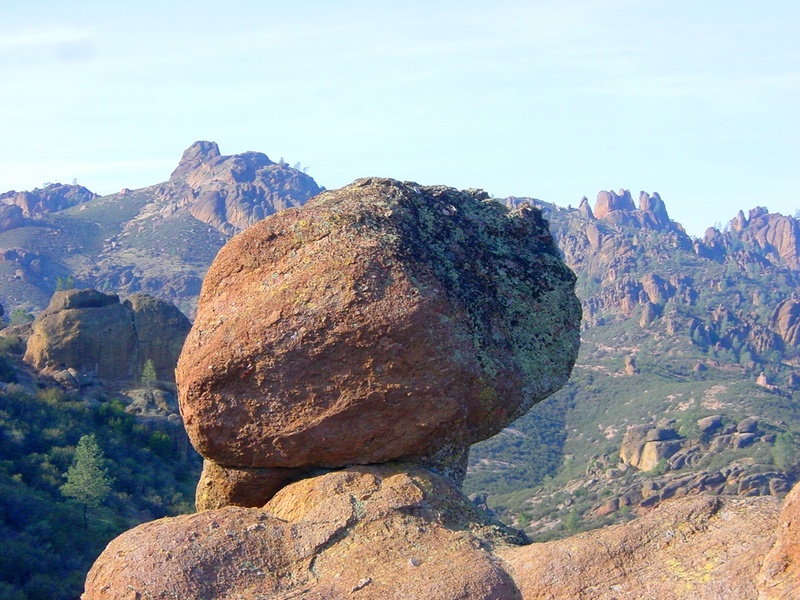 The tilt is original slope of the deposit View from the High Peaks Trail at Pinnacles National Monument. 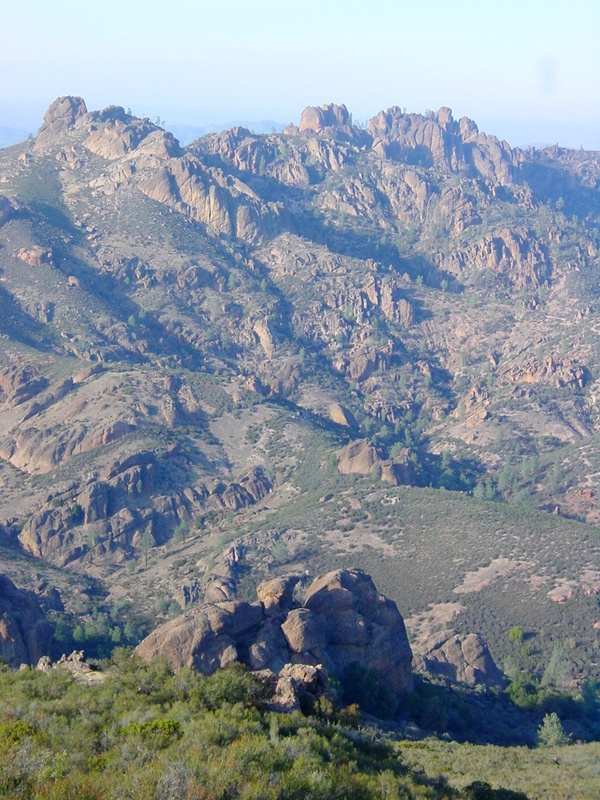 Eroded rhyolite breccias View from the High Peaks Trail at Pinnacles National Monument. 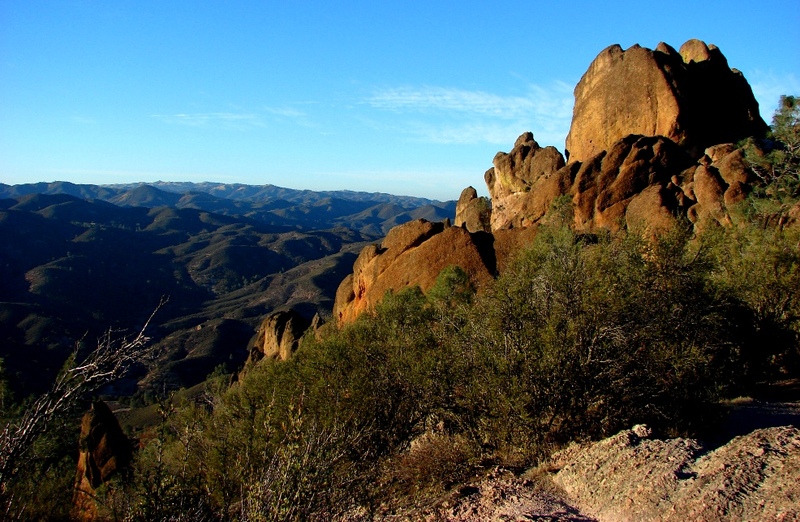 Eroded rhyolite breccias High Peaks from the Condor Gulch Trail at Pinnacles National Monument, a deeply eroded composite cone Rock spire on Condor Gulch Trail at Pinnacles National Monument Eroded rhyolite breccia at Pinnacles National Monument.